Wow!!! What a busy time in Reception. Over the last couple of weeks the children have been very busy learning about Under the Sea creatures. The children told us that they were particularly keen to learn about jellyfish and sea turtles, therefore we spent a day learning some super facts and the children enjoyed sharing their new knowledge with each other and making some Under the Sea related clay models. Over the last few days we have been celebrating Easter by watching two fantastic assemblies, making Easter cards and baskets, making chocolate crispie cakes and parading our super Easter bonnets. The children also had a special visit from the Easter bunny who was kind enough to leave some chocolatey treats around the playground for the children to find. Now it is time for us all to have a restful two weeks and recharge those batteries ready for the summer term. Happy Easter!!! On Friday 4th April, we were visited by a fantastic group of 4 young Dhol drummers who played in front of the whole school. They came from Cherry Orchard Primary School in Handsworth and were dressed in colourful costumes from India. 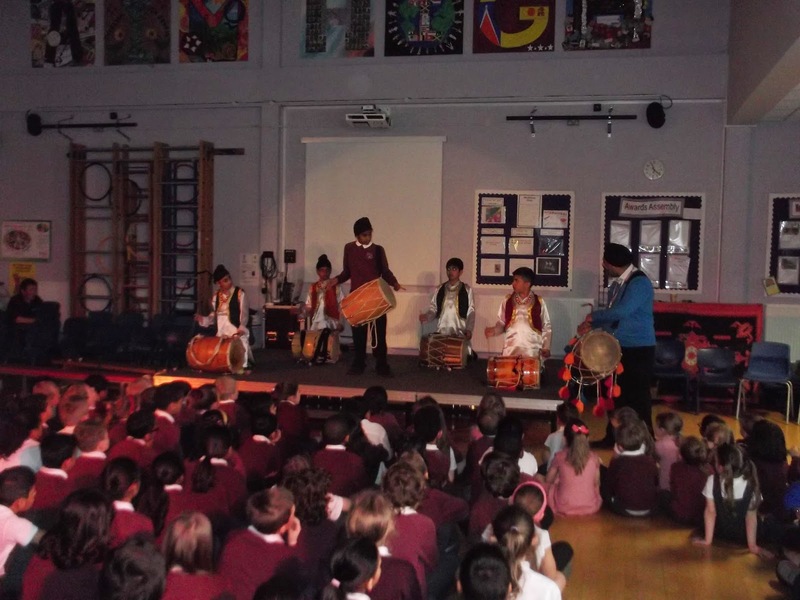 The drummers performed different rhythms led by Harjit Singh their teacher, who is in charge of Percussion and World Music at Birmingham Music Service. Their music was very loud and exciting and everyone had a fantastic time. Bradley in Year 5 joined in playing with them and kept up very well despite not being as experienced as them. Other children from Years 3,4 and 5 had a chance to play a rap rhythm on the drums too. 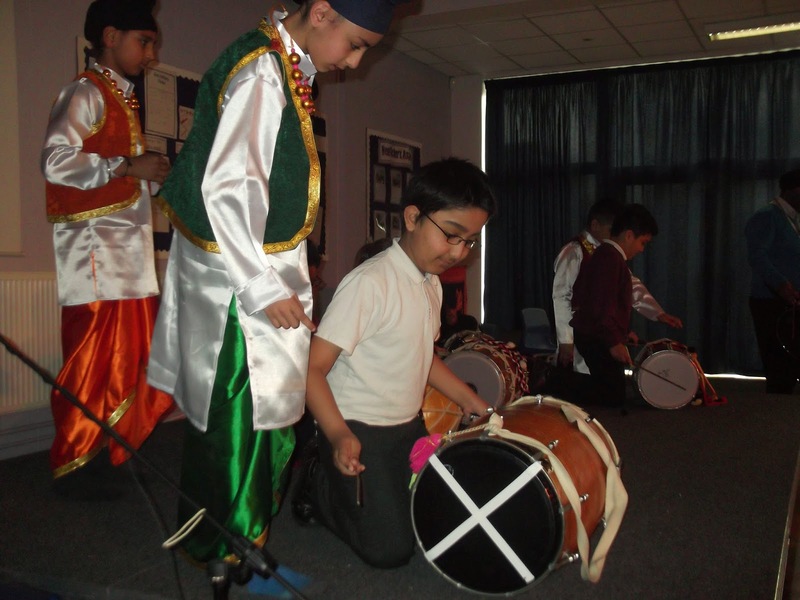 We hope to begin a dhol drumming group at Chilcote soon. 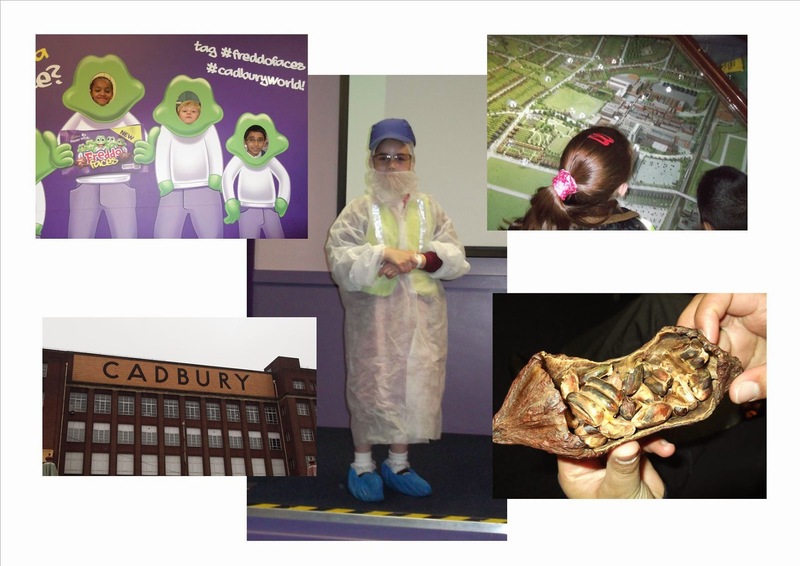 On Thursday 3rd April year 4 went on a fabulous trip to Cadbury World, as in topic we will be learning all about chocolate. First we excitedly boarded the coach, which raced towards the factory in Bournville. When we arrived we all walked sensibly (even though we were all anxious to get inside the purple building). Adventurously, year 4 clambered up the rigid stairs, while more visitors ran inside. After that we all had a quick snack that was so delicious all though everyone had something different. Then we all sped carefully, inside the busy, colossal building; we walked to the mind blowing Aztec Jungle exhibition. Then we journeyed to Europe where we learned about how Hernan Cortez brought cocoa to Europe. As we continued on our quest we learned the story of John, and his sons George and Richard Cadbury. Next we discovered where cocoa originates. It travels from Africa (Ghana) by boat to a factory in Britain where the process begins. Then we went to see how the Dairy Milk bar was made. We were all excited as we arrived at the popular Cadabra ride. Next, year 4 designed their own chocolate using different toppings. Mr Setchell asked politely but firmly for triple jelly babies and he got them! By this time we were starving, luckily it was lunch time! After lunch Curtis, a chocolatier, spoke to us in more detail about the process of chocolate making and dressed Sadie as a factory worker. Finally we sleepily trudged back to the coach for our journey back to school. Year 4 had a phenomenal trip and we are all looking forward to our topic on chocolate. We have been waiting for a sunny day to release our butterflies out into the school garden. Tuesday was the day! We carefully transported the butterfly house outside and stood in a circle around it. As we lifted the lid, the butterflies started to fly out and we waved goodbye to them. Some of the butterflies needed a bit of encouragement, so we carefully placed them on a stick and let them have a little rest before watching them too fly away! We have loved looking after our caterpillars and watching them change into butterflies. We have learnt so much about growth and changes ove time. Next week: we will be learning about the Easter story and why Christians celebrate this festival. We will be going on an egg hunt, as well as sharing out Easter bonnets with our friends and family. Don't forget to finish making your bonnet at home! Reception at the Sea Life Centre! Last Thursday the children in Reception were lucky enough to go on a visit to the Sea Life Centre. It was a great way to start our Under the Sea topic and allowed the children to get up close to a variety of different sea creatures such as a giant turtle, sting rays, sea horses and sharks! The children have loved looking back at the photos in class and talking about what they saw. The children have created some fantastic art work following the trip and have enjoyed making their own story books about the sea creatures. Just a reminder that next week is our Easter Bonnet parade. If you have any questions please come and speak to a member of the Reception Team. Many thanks to Nursery parents for joining us for our mathematics Inspire workshop last week. It was great to explore the book 'Nigel's Numberless World' together, and find out that numbers are very helpful! We celebrated Nigel's birthday and put the right number of candles on the cakes, as well as sharing out the eggs in the kitchen. We also made Nigel's magic watch and printed with 'Numicon'. All children have been given copies of the workshop notes.